Just as the world is full of sceptics, business is too. Time and time again the value of social media has been proven, however like global warming and dinosaurs, not everyone still believes it when you tell them. Of course, this is understandable. Some businesses have been run the same way for decades and change is not always welcome. However, if you do work in such an environment, how do you win people over and showcase the value of social media? Here’s how. They say that statistics count for nothing – 90% of all people know that. Seriously, show your boss the statistics. With over 1billion on Facebook, hundreds of millions on Twitter and G+ and tens of millions even on the most niche sites – it’s hard to argue that there isn’t potential in social media. If you have a sceptical boss, show them research on the size of social. Case studies are ideal and the internet is littered with them. This is even better if the studies are of people in your industry. Follow this up with projections of the future of the site. In addition, for Facebook, there is the chance to estimate the number of people in your target audience on Facebook via Checkfacebook.com. It could be your perfect ally when looking to win your boss over. Never give your boss some sort of false expectation. Facebook or Twitter accounts don’t succeed overnight – point this out. You don’t want to hype them up and then let them down, by offering false promises. Explain to them how you can use Facebook – maybe you want to use it for customer service, PR or to promote products discuss these options and then decide what is most suitable in your case. Show your boss how your competitors are using social media. Be impartial here and see what you think will and won’t work for you. Finally, inform them that social media success is not dictated by sales alone – ROI can be feedback, customer service, marketing and an increase in exposure. Once your boss is on side, just go for it. Tell them you will set up the page on a trial basis and focus on success. Starting small and don’t be too audacious. Being too adventurous increases the risk of things going wrong. So, initially just use the social media network you think works best for you and if that works, you can focus on branching out. Use only the social media sites you are intent on maintaining. You of course, need a strategy. You wouldn’t go into most business ideas blind and social media is no different. Nothing kills social media like a laissez faire approach. Be regimented, post daily and evaluate to see what works and what doesn’t. It’s not hard and you can use the likes of Hootsuite and others to set up your weekly postings at once. Small results are still results and when most businesses see a positive they’re happy to include it into their everyday work. 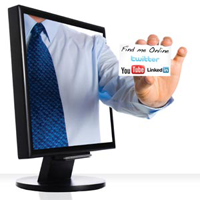 Showcase the positives and soon your business will have a social media presence. MySocialAgency is a UK based social media & digital marketing agency. Click here to learn more about our social media management services.